It’s spring, the sun is shining (well it is while I type this), I have the windows wide open, a big smile on my face and am browsing new items that would slot into my wardrobe. Although they don’t necessarily scream sunshine dressing, these boots look amazing. 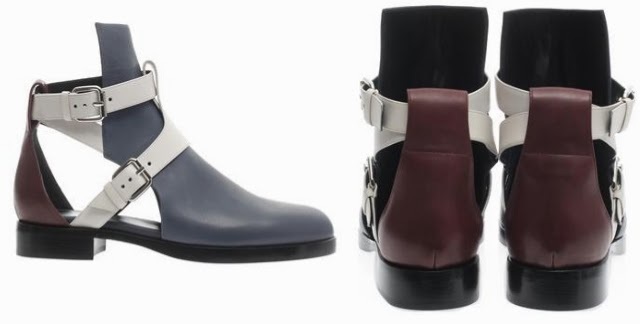 Pierre Hardy, I need your Tri-Colour Slashed Ankle Boots in my life pronto.